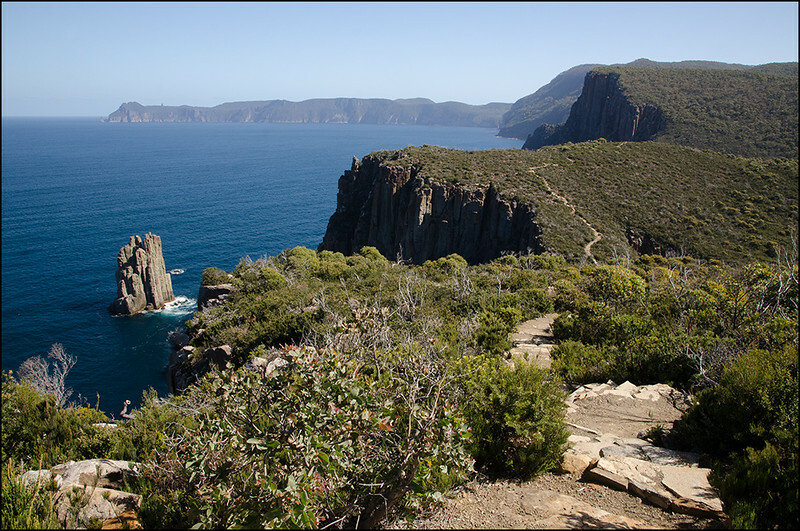 To get to Fortescue Bay from Hobart, take the Tasman Highway out to Sorell, and then the Arthur Highway all the way to Taranna. Keep driving through Taranna along the highway for another 5km and you will see Fortescue Road on the left hand side. Follow this dirt road for the next 12km until you reach the Tasman National Park and Fortescue Bay camping Ground (2WD access is fine). Be aware that park entry fees do apply. 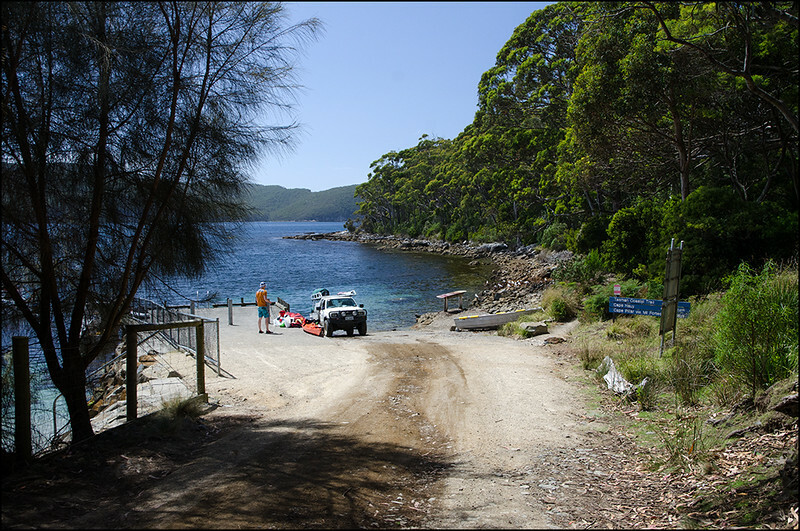 The campsite at Fortescue Bay is quite extensive, with plenty of camp sites, toilets, hot showers, drinking water and a boat ramp. For more information regarding fees and facilities, see the Parks & Wildlife Service website. 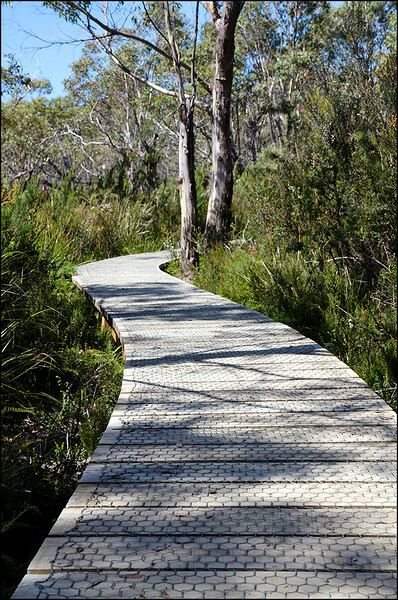 From the car park, make your way along the dirt road towards the boat ramp. On your right hand side you’ll see the blue signs clearly indicating the start of the hike. 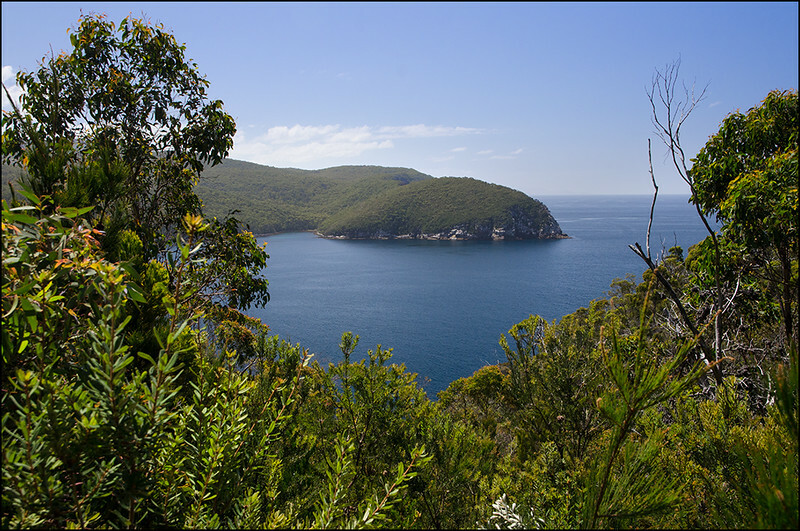 With the blue waters of Fortescue Bay shimmering on your left, the track passes between the scrubby stringy barks and tall blue gums. 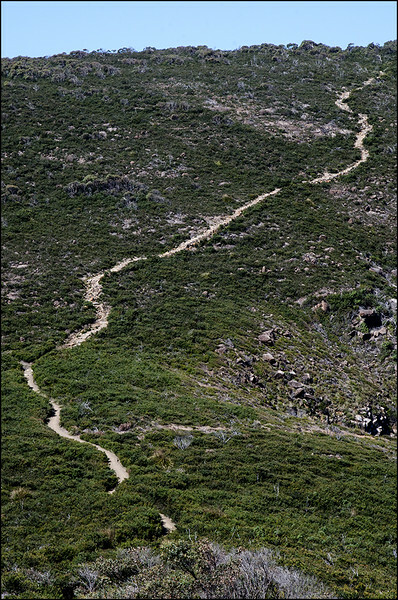 After ten minutes the well made track begins its ascent up the ridgeline. Considering the amount of investment that has gine into the Cape Hauy track it shouldn’t have come as such a surprise to find what was essentially a highway at the top!! 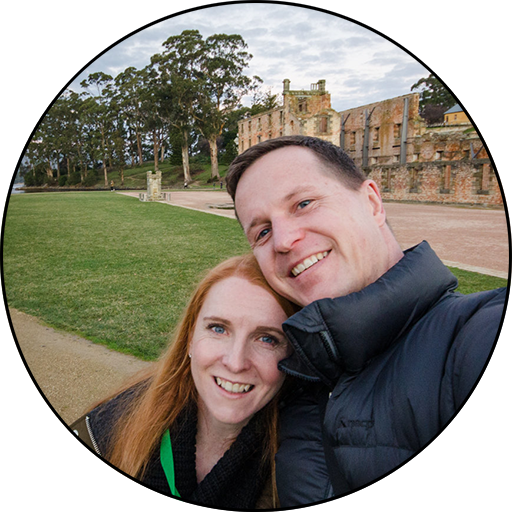 Whether it was a dirt trail 1-2 metres wide and flat as pancake, or sturdy, mesh-covered duckboard, we joked that you could leave yourself a mountain bike in the bushes and halve the time taken to complete the hike! 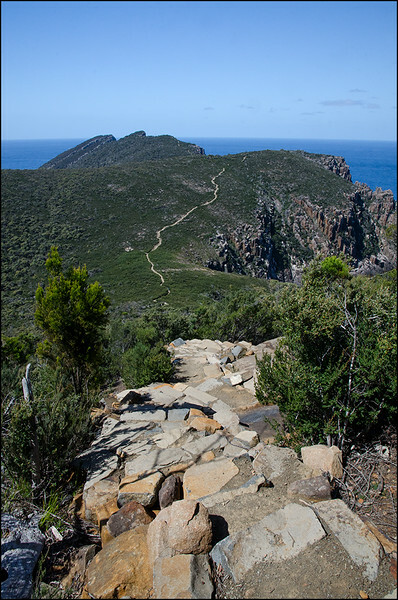 Almost an hour after commencing the hike you’ll find yourself at a junction where the left hand path will take you to Cape Hauy, and the other to Cape Pillar (part of the Three Capes Track). 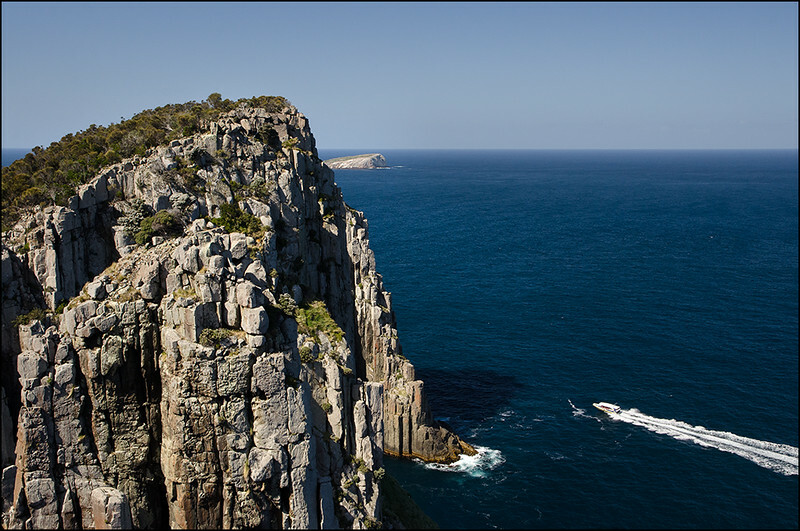 Decisions…left to Cape Hauy or right to Cape Pillar? This is a great place to take a break and soak in your surroundings! 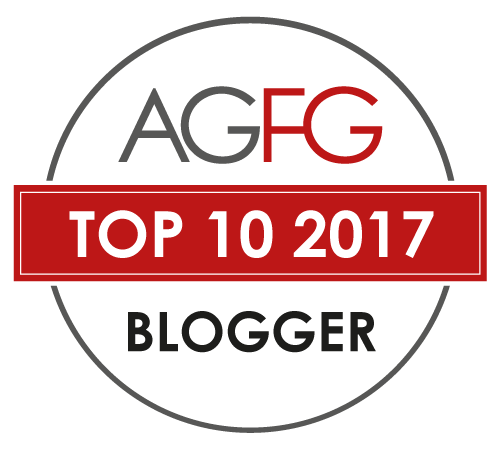 For the next half an hour the tack descends and ascends a number of times, revealing the treacherously sheer cliffs, jagged rocks and deep blue waters of the Tasman Sea. At the end of the track is a great viewing area. If you’ve got children then you’re going to want to keep an eye on them at all times, as the viewing area is only a couple of steps from a 100m drop to the foaming waters below! 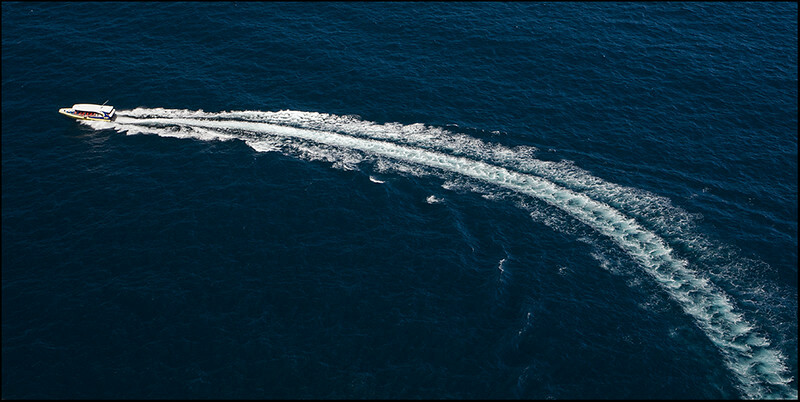 Our timing on this particular day was perfect, as we watched the Pennicott Wilderness Journeys boat cruise up to the base of the cliffs for a look, and then make its way around the cape and further north. 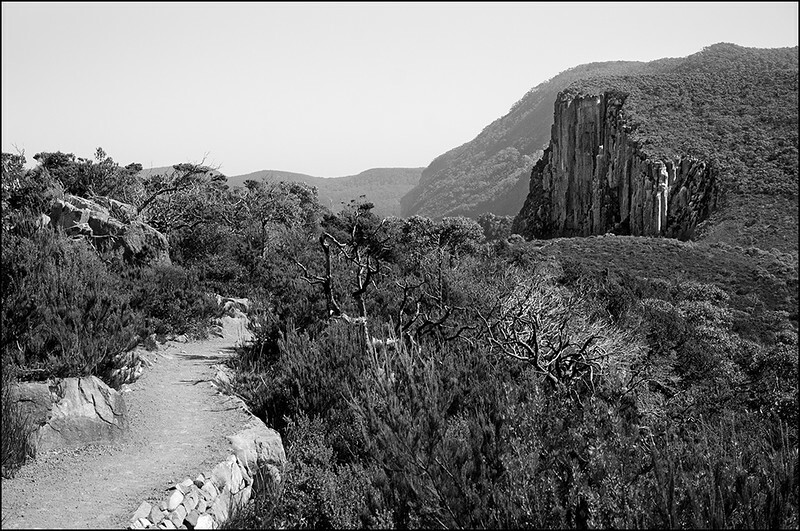 While you may been taking the occasional peek over your shoulder on the way in, the first half hour of the return walk reveals some new vistas to the south, and better views of the cliffs that form the southern edge of the cape. We were hoping to spy a rock climber or two, but no such luck! In total, we’d recommend allowing 3.5-4 hours for this hike. 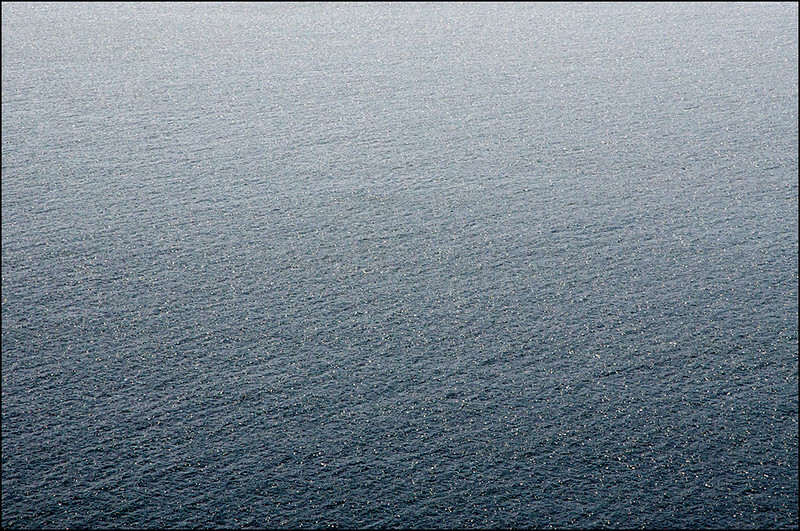 It’s worth noting that there is no water on this hike, so take plenty. 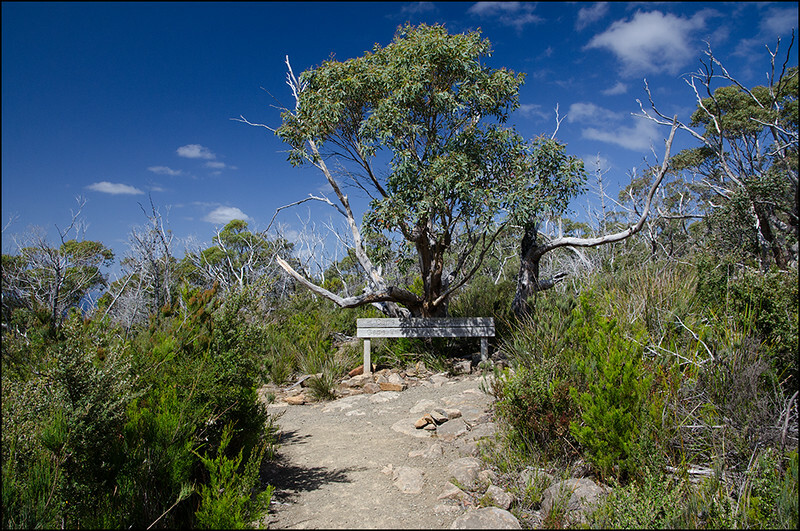 The final section is also very exposed to the elements, so make sure you take a waterproof jacket and sunscreen as well. 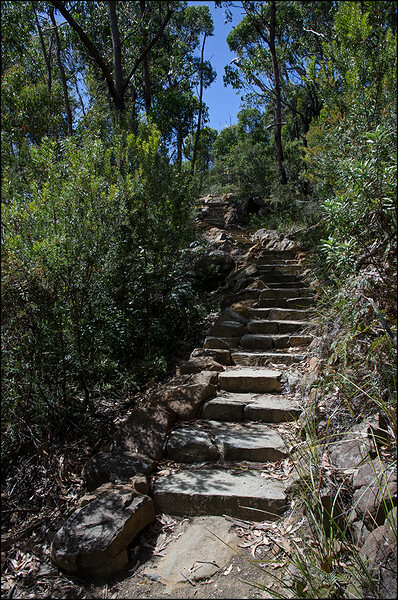 The build quality of this track would have to be the best we’ve come across in Tasmania, so even those with mobility issues will be able to enjoy at least the earlier sections without any worries. The last third has some steep sections, but nothing overly strenuous. 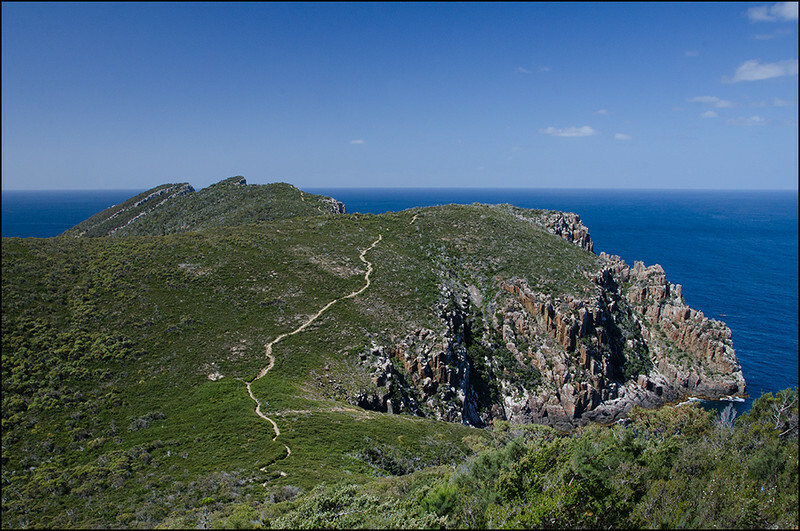 While the beginning and mid-sections may be a little average, it’s the final third of the walk that really shines, exposing you to stunning panoramic views of the cape, north towards the Devil’s Arch and south towards Cape Pillar and Tasman Island. 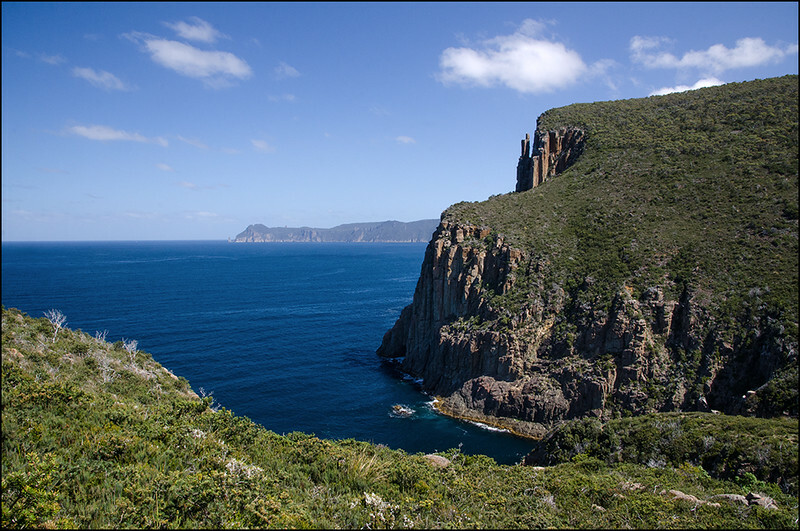 The sea cliffs of the Tasman Peninsular are the tallest in the world, and for that alone it would also be worth making the hike! Put it all together and you’ve got one very enjoyable day walk.